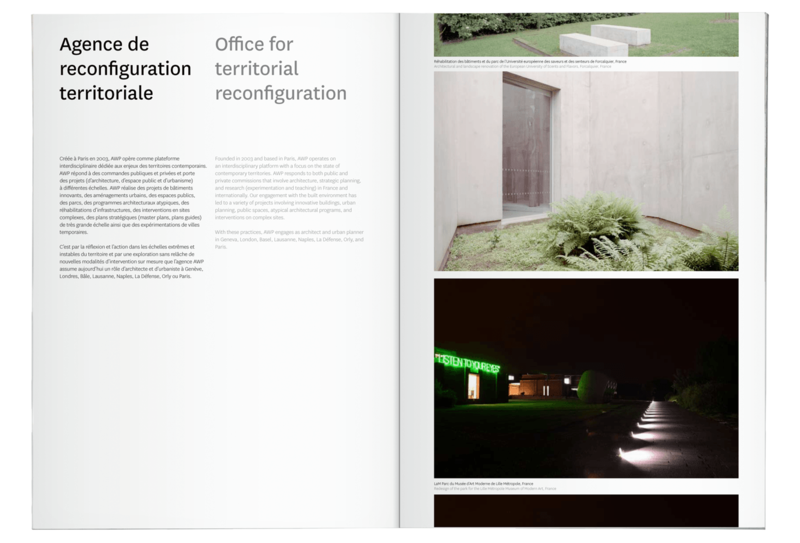 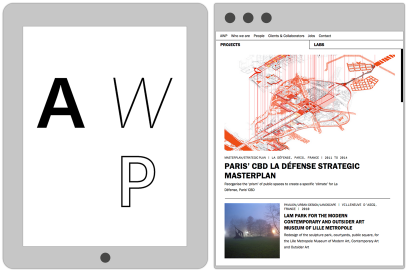 Designed as a compilation archive to showcase ongoing projects and reinforce AWP as an award winning architectural practice. 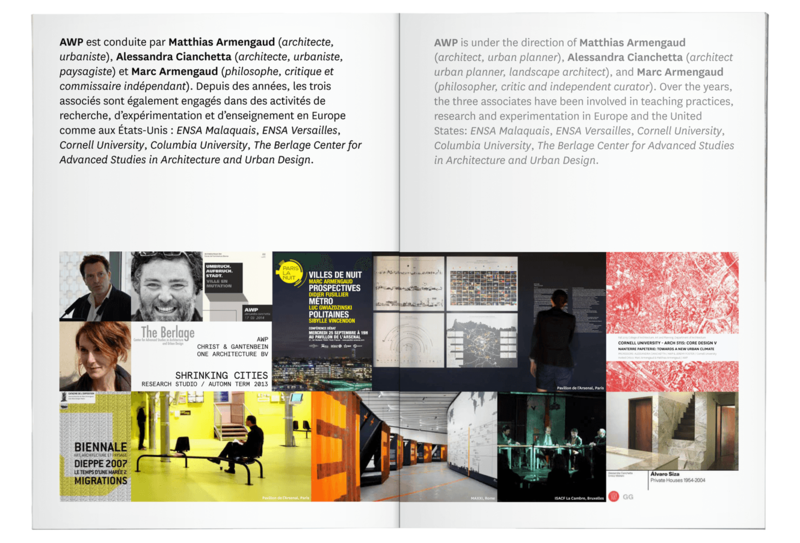 Our creative direction had to aesthetically distinguish the book as an interim to the AWP Monograph, with a practical purpose to archive ongoing projects. 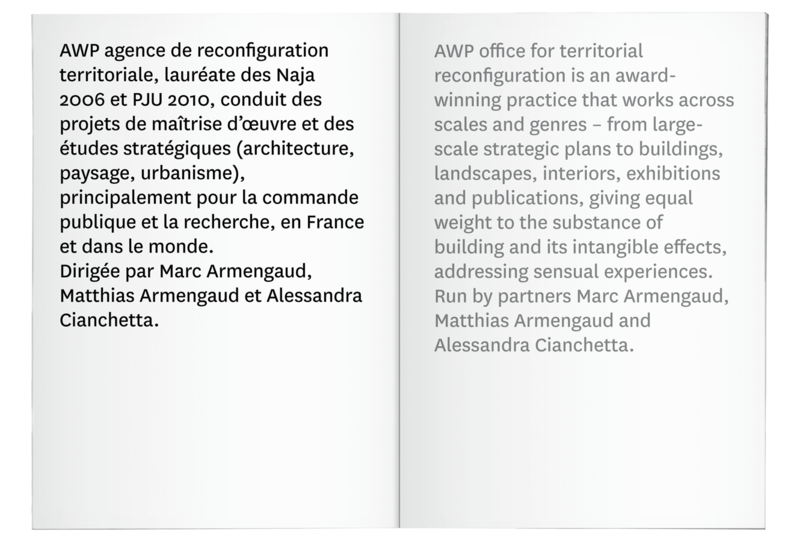 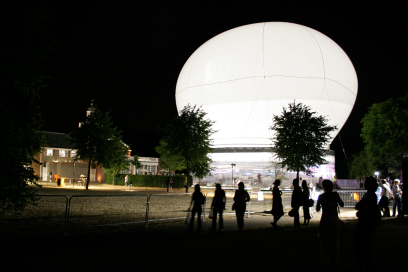 Clarifying the ongoing story of AWP as an award-winning architectural practice and its partners Marc Armengaud, Matthias Armengaud & Alessandra Cianchetta through minimal design. 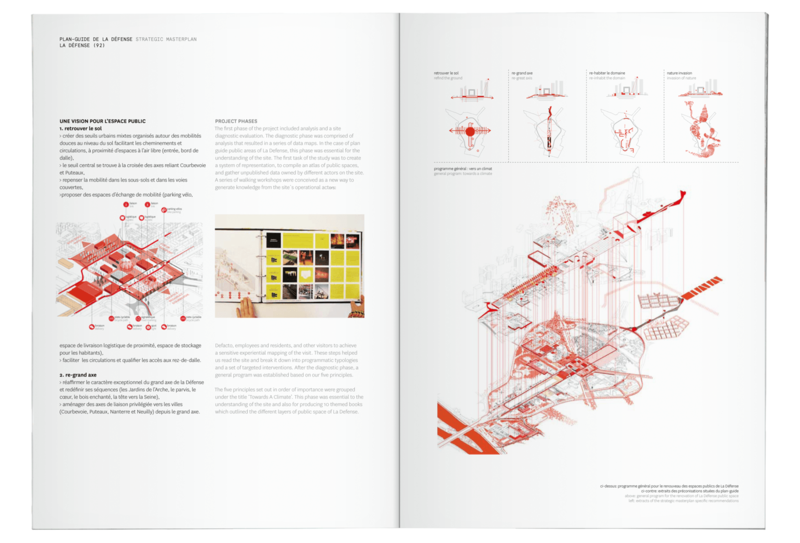 A compilation of nine signature books that function as independent objects showcasing the brand offering and projects. 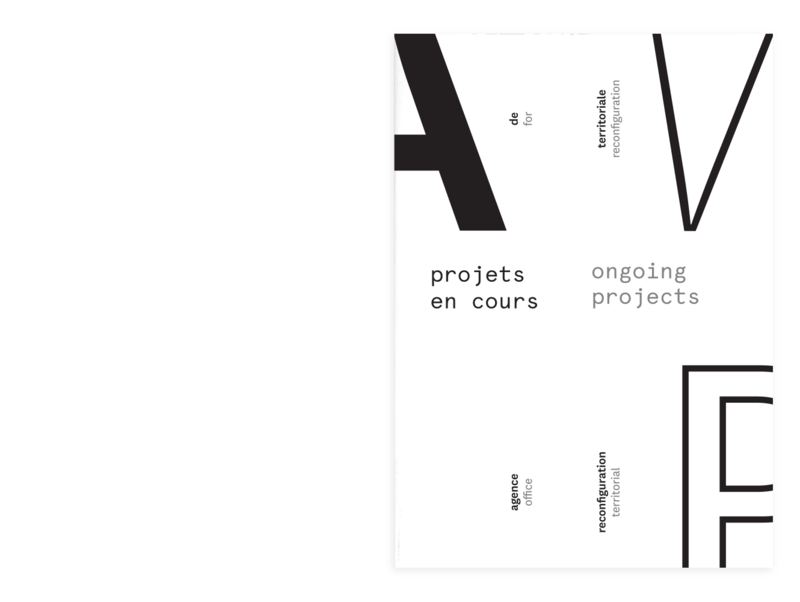 Produced in two finished variations catering for a diverse set of communication scenarios: An unbound set of signature books for those who need specifics and a single book comprising of all nine signature books sewn together for those who want to see the bigger picture at AWP. 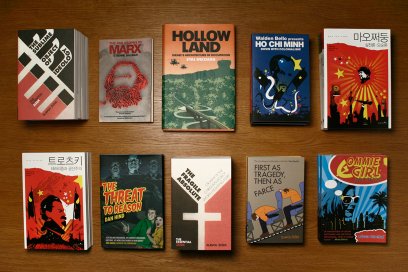 A selection of book covers and films showcasing the making of and end product for Verso Books.